Astanza’s commitment is to tattoo removal technology, and our lasers incorporate proven science that’s innovative and effective. Trinity technology packs a 1-2-3 punch. One laser system incorporates two separate, independent lasers to produce three incredibly useful wavelengths of light. The Nd:YAG laser produces light at a wavelength of 1064 nanometers (nm) through exciting the atoms of a Neodymium-doped yttrium aluminum garnet crystal. This wavelength is highly effective at treating dark tattoos but allows for minimal absorption by melanin. This means that the tattoo ink will shatter and even patients of darker skin types will see minimal disruption of skin tone. Can be redirected to pass through a highly-efficient non-linear KTP crystal and produce a “frequency-doubled” 532nm light. This 532nm light appears green and is effectivefor removing tattoo ink of a complementary color – that is red, orange, and yellow. The system’s second independent laser uses a ruby crystal to produce a third wavelength of light at 694.3nm. The ruby laser is the newest laser tattoo removal technology and is highly regarded for its ability to remove blue and green tattoos that Nd:YAG lasers aren’t capable of removing. 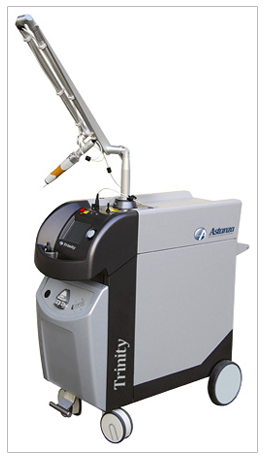 At Sugar Land Laser Tattoo Removal, our Astanza laser device offers TruePower to our laser specialist practitioners. The various wavelengths of light our lasers produce offer the full range of fluence to fragment the ink in difficult-to-remove tattoos. 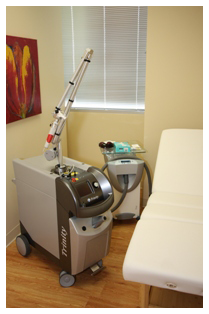 Unlike other lasers that can’t offer effective treatments beyond the first few treatments, the Trinity pushes through barriers to help you complete follow-up treatments and offer complete removal of resistant ink. The Trinity created TruePower through using large cylindrical crystals inside industry-leading optical cavities, multiple flash lamps, and precision optics that minimize energy bleed. Our lasers are slightly larger – and significantly more powerful – than the competition. Sugar Land Laser Tattoo Removal is located in the Imperial Health Center of Sugar Land. 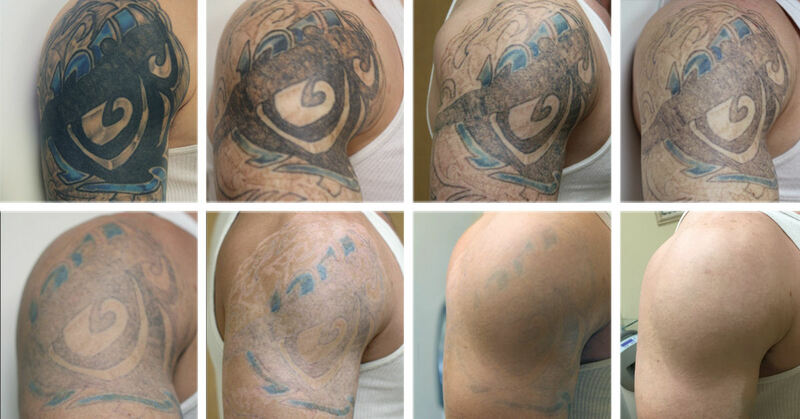 For your free consultation, call us today at (281) 685-9998 with all of your questions about laser tattoo removal.